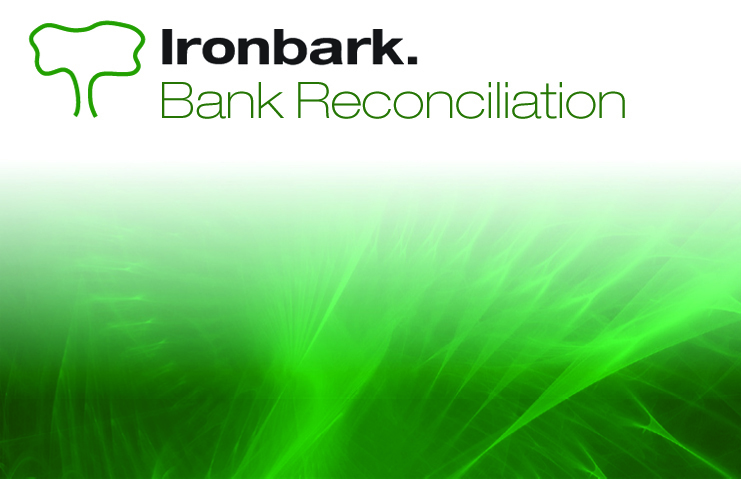 Ironbark’s Bank Reconciliation software is designed to streamline and control the financial management of your business. It integrates and works in conjunction with Ironbark General Ledger, Debtors and Creditors. Ironbark Bank Reconciliation provides a bank interface for the downloading of statements from your bank and allows for the creation of journal entries for anomalies which can be easily modified when checking your e-statements against your records. 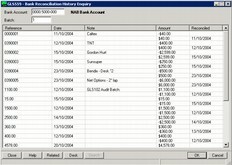 Users are also able to print the bank reconciliation to match against bank statements. Ironbark Bank Reconciliation also permits users to run multiple bank accounts and bank reconciliations at the same time with optional manual entry of bank reconciliation. 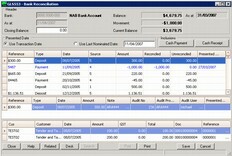 An unreconciled cheque and deposit listing and cheque listing report which details all cheques that have been paid (and credit transfers sent to banks) can be printed from this module. Another key reporting feature presents users with a full cheque history listing and reconciliation report that lists all transactions by selected date range and type of transaction. 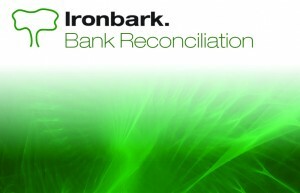 Ironbark Bank Reconciliation software is an integral module of the Ironbark Financials. Download the Bank Reconciliation software overview today!